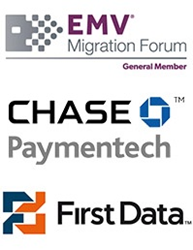 Merchant Link, a leading provider of payment gateway and data security solutions, announced today that its TransactionLink™ product together with Verifone VX devices is certified for EMV® Chip and PIN Card acceptance for retail, restaurant and lodging in the United States with Chase Paymentech and First Data. “Merchant Link has been a leader in the security payment industry serving restaurants, lodging and retail for over twenty years. Being able to provide merchants, partners and resellers additional security that directly addresses fraud has been a top priority for us,” continued Lane. By combining TransactionLink™ (EMV/Chip & PIN) with Merchant Link’s other security solutions TransactionVault® (Tokenization) and TransactionShield® (Point-to-Point Encryption), merchants are able to protect their consumers' payment card data in flight, at rest and against card-present fraudulent activity. Merchant Link serves over 400,000 customers that process over 6 billion transactions annually. Identifying new ways to securely manage transactions is core to its business. Operating in a 24x7x365 manner, Merchant Link provides semi-integrated data and payment card security solutions, allowing merchants to focus on their businesses. Chase Paymentech, the global payment processing and merchant acquiring business of JPMorgan Chase & Co., is a leading provider of merchant services. The company's proprietary platforms enable integrated solutions for all payment types, including credit, debit, prepaid stored value and electronic check processing; as well as alternative and mobile payment options. Chase Paymentech has uniquely combined proven payment technology with a long legacy of merchant advocacy that creates quantifiable value for companies large and small. In 2012, Chase Paymentech processed 29.5 billion transactions with a value of $655.2 billion, including an estimated half of all global Internet transactions. In addition to the ability to authorize transactions in more than 130 currencies, the company provides business analytics and information services, fraud detection and data security solutions. More information can be found at http://www.chasepaymentech.com.